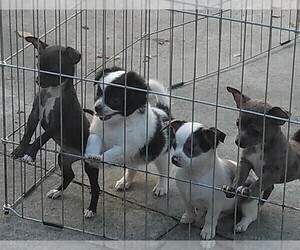 Sweet little babies, 3 long coat girls and one short coat boy. Very loving, happy and healthy puppies. Love to play with other dogs, stuffed animals and they really like to give kisses. 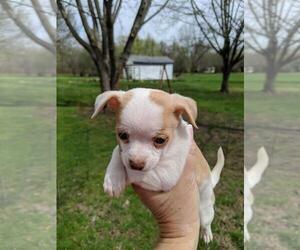 They would love to spend time on your lap and get belly rubs. They are looking for somebody who has available time to raise them and give them attention while they are growing. They all have good characters and quiet personalities just like their parents. The smaller brown girl is more quiet and the bigger brown girl is more advantageous and more feisty, they will both change their colors in the future and probably will pick up their mother’s color ( mother’s pictures are provided ) Tan beautiful long coat girl is a loving and fun puppy, loves to play and she moderates her play mood with taking long naps. 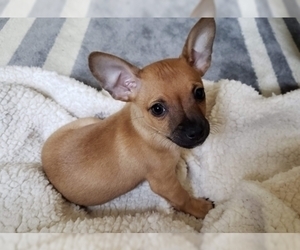 Brown short coat puppy boy loves a lot of attention and pretty advantageous, he will follow you everywhere and will be happy to spend lots of time on your lap being petted and giving you kisses. 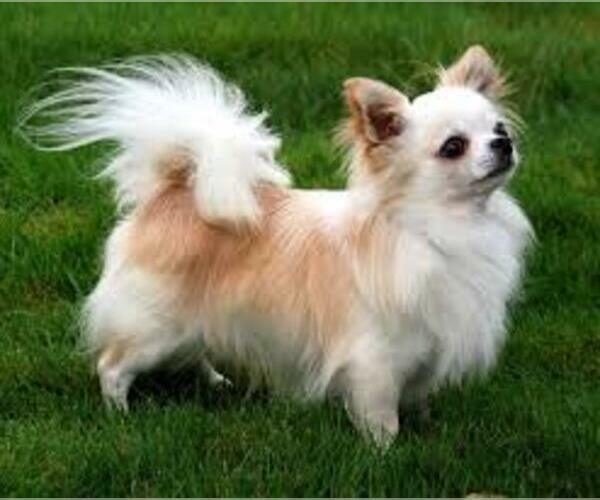 Beautiful long coat chihuahua. She is light brown with white belly and white paws. She is very outgoing and adventurous with lots of energy. She loves people and likes to play with other dogs. She is available as a pet only. 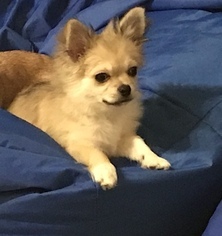 Charlie is AKC registered, champion blood line, white with several tan spots, short coat male apple head purebred chihuahua. Very loving and adventurous boy who loves to run outside and really enjoys attention and treats. 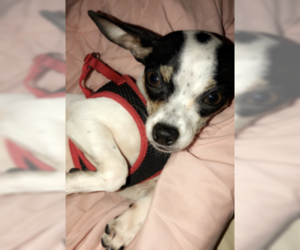 Bella is AKC registered, championship blood line, light brown with some black at the tail and white chest long coat, apple head purebred chihuahua. Loves to dance and meet new people, very outgoing, fun and loving girl.